Cross Plains Motors is an ASE Certified truck and auto repair center. Let our experienced auto mechanics and repair technicians repair your car or truck so you can get back on the road! Let Cross Plains Motors provide your manufacturers scheduled vehicle maintenance and eliminate the cost of emergency roadside repair! We service ALL American makes and models, including Dodge, Chrysler, Jeep Ford, Oldsmobile, Mercury, GMC, Buick, Chevrolet, Pontiac, Saturn, Cadillac, and more! Call Cross Plains Motors TODAY at 608-798-2131 or contact us through our website with your questions or to make an appointment! Page Summary: Looking for a local auto repair shop and service mechanics near me? 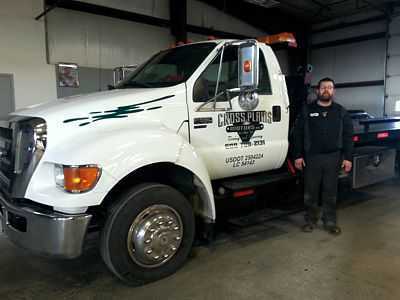 Cross Plains Motors offers complete car and truck repair, as well as fleet repairs and maintenance for home and business in Cross Plains, Middleton and Madison WI. Get brake fluid, calipers, exhaust manifold and system repair, as well as complete engine diagnostics, car inspection and muffler repair, well as used cars and commercial snow plow and ice removal service in and around Mount Horeb, Black Earth and Mazomanie, as well as Lodi, Sauk City, Verona, Waunakee and surrounding Dane County Wisconsin. Copyright © 2016-2019, Page 1 SEO Design LLC - All rights reserved.